fits the Chinese context, creating opportunities for innovation. After a decade of breathtaking growth, China surpassed the United States as the world's largest automotive market in 2009. Since then, in spite of a recovery in US sales, China has widened the gap, with sales of 23.5 million vehicles compared with 17 million in the US. However, the 7 per cent growth of last year was about half that achieved in 2013. In fact, China has witnessed single-digit growth in three of the past four years, prompting many market followers to label this the "new normal". 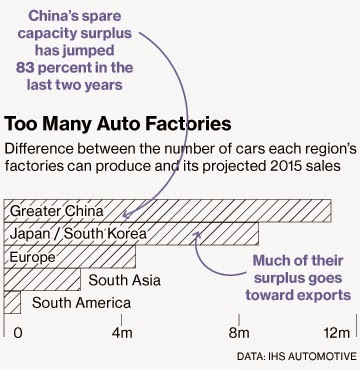 Some say the best times for China's automotive industry are now in the past. Indeed, there are many reasons to worry. In addition to the overall slowdown of China's economy, a growing number of cities are implementing curbs on car sales, seeking to address concerns about congestion and emissions. Last month, Shenzhen joined a growing list of cities, including Beijing, Tianjin , Shanghai, Guangzhou, Hangzhou and Guiyang , in an effort to cut the growth of the car population by limiting purchases. 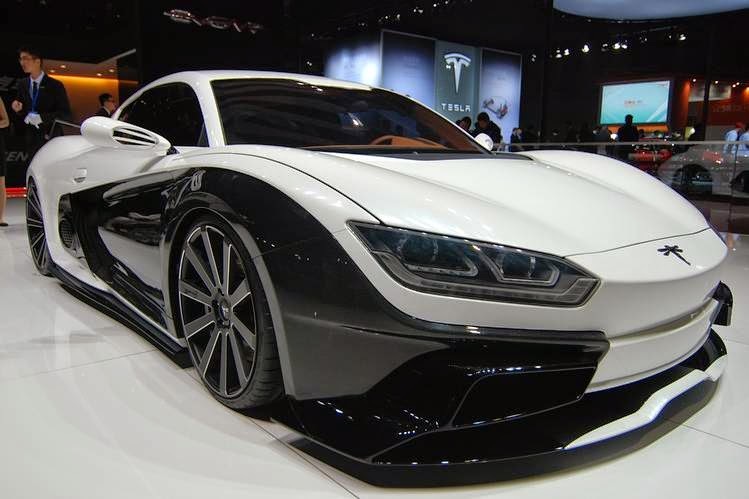 Meanwhile, the rising inventory of unsold vehicles has prompted the China Automobile Dealers Association to openly challenge global brand-name manufacturers, including BMW and Toyota, to increase incentives to their dealers and lower sales targets for 2015. While there is certainly cause for concern in the near term, we believe China's auto market is moving into a new phase, one that still offers the most profitable growth opportunities in the world for both local and global carmakers. 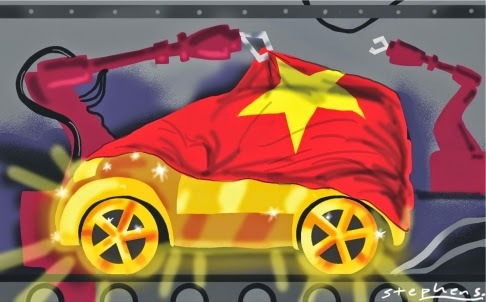 Indeed, China's auto industry is on the cusp of major change that will fundamentally reshape things, bringing both opportunities and challenges. The age of inefficient, asset-driven growth is over. Overall, there is a capacity bubble after some manufacturers over-estimated growth prospects. The problem is worst at the middle and lower end of the market. An already hyper-competitive environment will become more cutthroat as manufacturers try to undercut competitors' prices to sell excess stock. 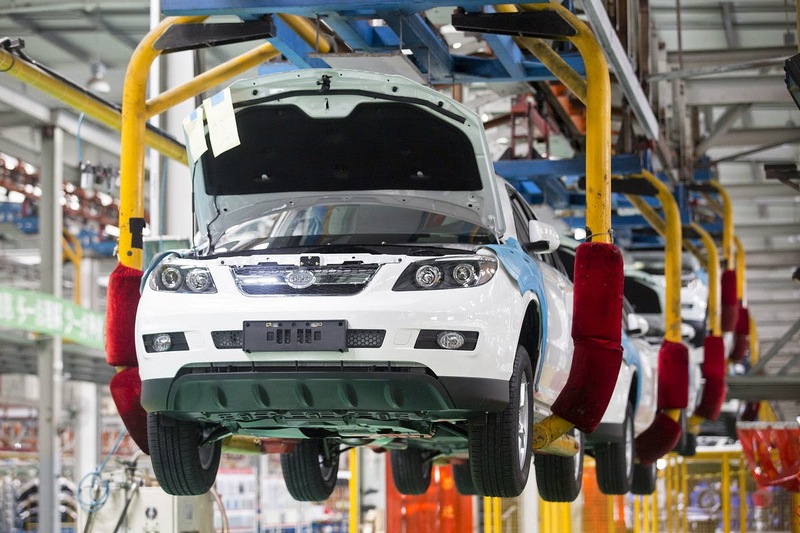 Restructuring China's auto industry is essential to ensure its stable and healthy development. 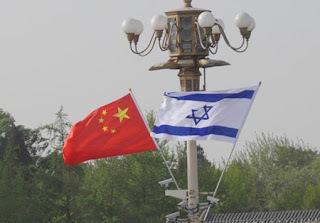 Government policies were implemented over 30 years ago to allow China to acquire the capabilities and capital from foreign sources to build up its domestic industry. While this has helped spur overall growth, it has not yielded a strong base of domestic carmakers. Consolidation and the elimination of weaker brands is inevitable. China's automotive industry will continue to expand, but at a more sustainable rate, with a steady stream of first-time purchasers from lower-tier cities joining the repeat buyers and those upgrading in the more established regions. A more "binary" market will emerge, with consumers in upper-tier cities continuing to prefer global brands, while those in lower-tier cities will seek no-frills products. However, pockets of "new wealth" will emerge in lower-tier cities, too, and these people will begin to mimic the buying patterns of more affluent customers. This presents unique opportunities for both foreign and domestic manufacturers. For example, Ford and Great Wall anticipated the shift towards small SUVs and have been enjoying above-average growth. Likewise, European luxury carmakers, such as Audi, BMW, Mercedes-Benz and Land Rover, have seen sales rise exponentially in recent years as a result of the growth in the number of high-net-worth consumers. In future, new segments, such as crossover and multi-purpose vehicles, may emerge but they may not be as large or as profitable as the SUV/luxury sectors. Thus, we believe a new golden age is on the horizon for China's auto industry. China remains the largest and fastest-growing automotive market in the world. 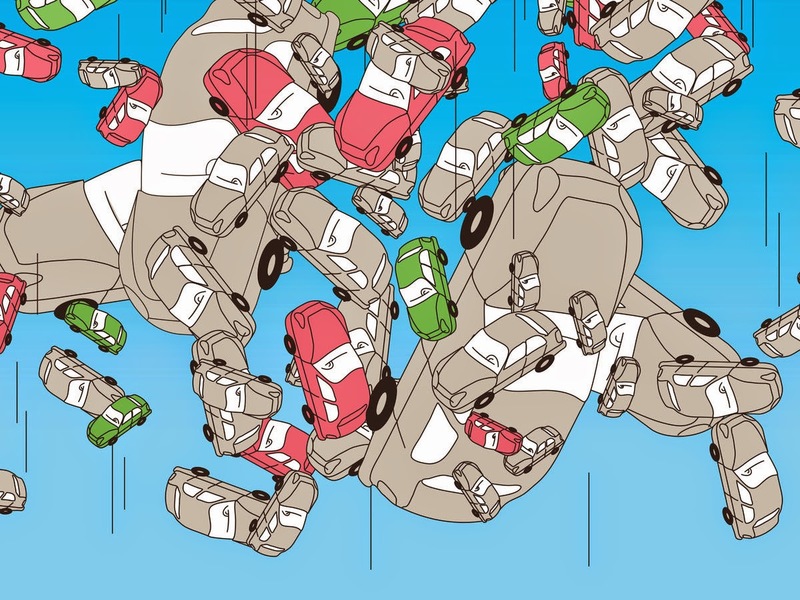 After years of advances in mobile connectivity, big data and social networks, "internet of vehicles" technology is now shaping the industry as "connected mobility" drives advances in navigation, analytics, driver safety and driver assistance. The old automotive industry model - a way to provide mobility for middle-class consumers - no longer fits the Chinese context, creating opportunities for innovation. A new solution to personal urban mobility is likely to emerge in China, given the scale of its urban transport challenges and increasing concerns over the environmental impact of conventional vehicles. Indeed, the traditional car-ownership model is being reshaped by urbanisation, the rising aspirations of young consumers, and the development of communications technology and "big data". A number of new concepts are emerging, bringing non-traditional players, many of whom are Chinese, into the ecosystem. Examples include taxi-hailing apps such as Alibaba's Kuaidi Dache and Tencent's Didi Dache, which each process over 5 million transactions a day. As the leading automotive market, China is poised to revolutionise the global car industry, ushering in the next age of smart vehicles and connected mobility. Gao Feng's Managing Director Bill Russo discusses China's car market snd why the country is so important for automakers with Bloomberg's Rishat Salamat on "On The Move". Toyota Motor Corp., which fended off Volkswagen AG to remain the world’s top automaker in 2014, may lose the sales crown as early as this year as it falls behind in China, the world’s biggest auto market. Toyota is predicting its global deliveries will decline 1 percent in 2015 to 10.15 million vehicles, or just 10,000 units more than what Volkswagen sold worldwide last year. A new factory the German company is opening this year in Changsha, China, will add capacity for another 300,000 vehicles annually. As Volkswagen and General Motors Co. add factories to bolster their already-dominant position in China, Toyota President Akio Toyoda’s strategy of foregoing new car plants until at least next year could result in the first shakeup in auto-sales leadership since 2011. Toyota ranks sixth among global automakers in China and sells less than one-third as many vehicles as its two main competitors in China. Worldwide sales for Toyota, including at its Hino Motors Ltd. and Daihatsu Motor Co. units, climbed 3 percent to 10.23 million vehicles in 2014, according to a company statement. Volkswagen last week reported a 4.2 percent gain to 10.14 million vehicles, that included its two heavy-truck units. GM followed with sales of 9.92 million units, up 2.1 percent. Volkswagen and GM haven’t announced projections for this year. Toyota, which hasn’t built an assembly plant in China since 2012 and faces a self-imposed moratorium on new factories until next year, will fall behind even further as Volkswagen and GM step up their expansion plans. Volkswagen expects to raise its China plant capacity to more than 4 million vehicles by 2018 from 3.1 million at end 2013, according to the company. Mainland China and Hong Kong accounted for a record 3.67 million deliveries at Volkswagen group last year, up 12.4 percent and extending the country’s lead as the German manufacturer’s largest single market. 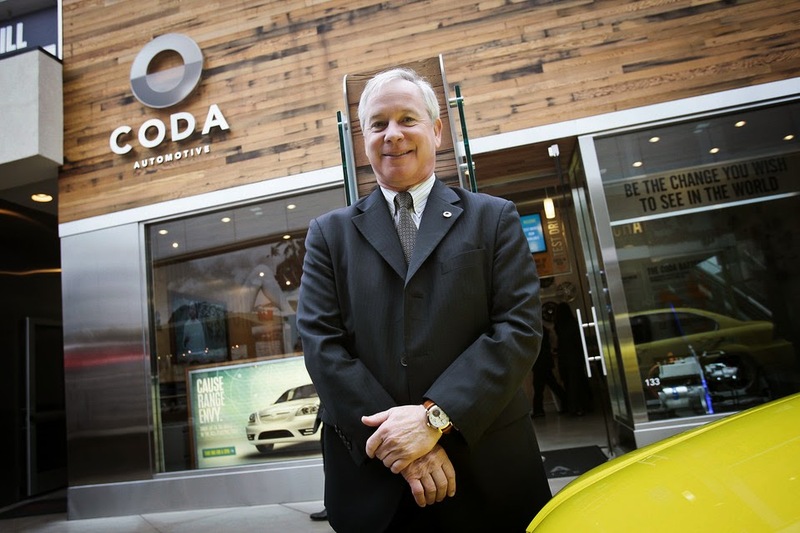 Even though Toyota may cede the sales leadership, it still outearns Volkswagen. Analysts estimate Toyota earned a profit of 1.96 trillion yen ($16.7 billion) last calendar year, compared with 10.7 billion euros ($12.4 billion) at Volkswagen. Toyota’s also-ran status in China is compounded by threats by its dealers to drop out of its network, citing poor sales and a lack of profit. As many as 10 percent of dealers for one of Toyota’s China ventures could abandon the brand, according to the China Automobile Dealers Association. Among the 523 distributors in the FAW-Toyota Motor Sales Co. group, 95 percent are losing money, with some dealers stopping sales or shutting down altogether because of the losses, the state-backed dealer’s group said. Vehicle sales growth slowed last year in China in tandem with the nation’s weakest economic growth since 1990. Deliveries are forecast to gain 8 percent to about 21.3 million passenger vehicles this year, according to the state-backed China Association of Automobile Manufacturers. E-commerce is nothing new, especially in what is probably the world’s most connected country: China. The thing is, Chinese are embracing online sales for new cars, too – and that’s good for business. Local automaker Geely estimates that it has sold nearly 3,000 units in 2014 online five years after first launching its e-commerce website. “The impact of Internet firms has been a major success for the company”, company spokesman Ashley Sutcliffe said. Still, traditional dealers are not left out of the game. One of VW’s joint ventures, Shanghai Volkswagen, is selling cars online through a number of websites; customers place the order in one of the sites but have to close the deal and pick up the vehicle from a dealership. The “disruption” mentioned by Dickie are smartphones. Right now, China is estimated to have more than 500 million smartphone users who, naturally, use their devices buying stuff online. Beijing-based iResearch forecasts that 2014 online retail sales in the country increased by 45.8 percent to 2.76 trillion RMB (US$444 billion). “Empowered with technology, consumers of mobility services are likely to make choices other than what the automakers and their dealers are offering today”, commented Bill Russo, the managing director of the Gao Feng consultancy firm. In other words, e-commerce may bring customers to the dealerships – they just might not be interested in the same vehicles the dealer and the brand want to promote.